Please note! To take advantage of this discount, use the code IGJT9T7Q at checkout. Winter's here. To avoid getting stuck in the snow with a dead phone, it's always a good idea to carry a power bank or two. If you're looking for something affordable with a decent capacity, we've found the right deal for you! 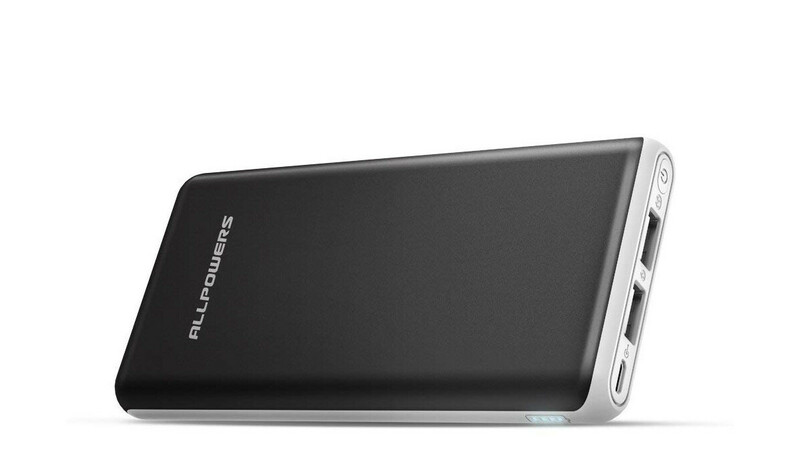 Amazon is offering an all-new Allpowers 22,000mAh portable charger for a modest $16.19. The gadget is only a bit larger (although noticeably thicker) than an iPhone 7, which means that it should fit comfortably in your pocket or bag. It can charge up to two devices at the same time, and it features 4 LED indicators that show how much power is left. How much is 22,000 mAh good for? Well, with today's flagships, we have around 3,000 — 3,400 mAh batteries inside the phone. So, this power bank should be able to top up your daily driver around 5-7 times. If this deal interests you, feel free to follow the above link to Amazon. Don't forget to enter the code at checkout for the discount.